My pumpkin & Ali’s pumpkin, originally uploaded by Aubs. Anyway, costumes are still TBD, but in the meantime, it’s Indian Summer here in San Francisco, we’ve got a big week of parties and beach picnics ahead, and we’re feeling festive. 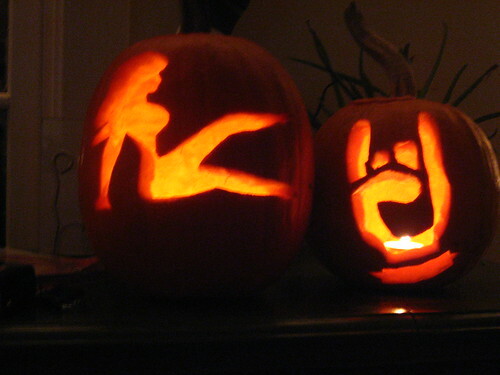 These are the most awesome, humpin-est pumpkins in all the land.